To search our international distributors, please select the continent and country below. If you are unable to find your country from the list, please Contact Us. 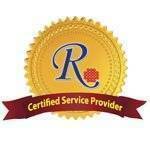 The distributors listed with this logo are service providers who have successfully completed RayBiotech’s training and certification program for testing samples with our antibody array products. They have been designated as "RayBiotech Certified Array Service providers", any of which you can trust to give you the same high-quality testing results you expect. Beijing Cy-tech Biotech Co., Ltd.
Beijing Lablead Trading Co., Ltd.
Changsha Keygene Biotechnology Co., Ltd.
Chengdu JingBorui Biotechnology Co. Ltd.
Daoke Medicine Technology(Shanghai) Co., Ltd.
Guangxi Tainuo Bio-engineering Co., Ltd.
Guangzhou Changyu Biotechnology Co., Ltd.
HangZhou Rock Biotech Co., Ltd.
Hefei Ruijie Biotech Co., Ltd.
Jinan Labtek Biological Co. Ltd.
Shanghai Biotend Biological Technology Co., Ltd.
Shanghai Mai Bio Co., Ltd.
Shenyang Huibai Biological Technology Co., Ltd.
Tianjin WoSunBio Technology Co., Ltd.
Urumqi Runjie Xincheng Trading Co., Ltd.
WuHan antgene Biotechnology Co., Ltd.
Xi'an Yike Biotech Co., Ltd.
Xiamen Lulong Biotech Co., Ltd.
Yinchuan Runyan Biotechnology Co., Ltd.
Yunnan Jiemei Technology Co., Ltd.
Yunnan Luoyu Biological Technology Co., Ltd.
Yunnan Mouzan Biotechnology Co., Ltd.
Zhengzhou Science Tech-trade Co., Ltd. Address: Av. Sucre 2418. Nunoa. Santiago, Chile. GenxBio Health Sciences (P) Ltd. Address: Dis.211, St.9, H.34, Beside Al-Qubanchy Mosque Al-Kindi St,Al-Harthia, Baghdad, Iraq. Address: 10 AHMADU BELLO WAY(ADAMA BOLA SADU HOUSE), G.R.A., ILORIN, KWARA STATE, NIGERIA. Tseng Hsiang Life Science, Ltd. Address: 99-15, Sec. 2, Nan-Kang Rd. Taipei, Taiwan 115, R.O.C.